A range of highly flexible, combined grinding machines which are suitable for grinding applications on inner and outer surfaces of workparts with outside diameters ranging from 5 to 350 mm and width up to 400 mm (max. length to be ground 225 mm). 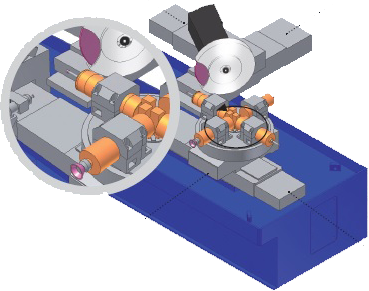 Several clamping systems available, including diaphragm chuck, roll-shoe and mag-drive shoe-centerless devices. 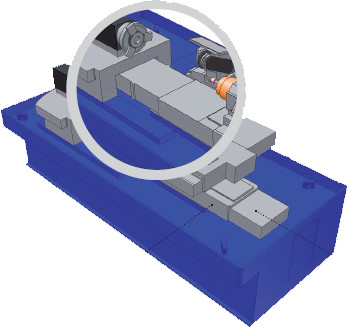 Dressing units depending on the workpart profiles, ranging from diamond rolls, rotary dressing wheels and diamond rings mounted on the workhead to CNC controlled double-fulcrum rotary dressers or single-point dressers, for both conventional as well as CBN wheels. The key feature of Nova M12 is flexibility. This range of grinders can be configured to meet the specific grinding needs of our customers. 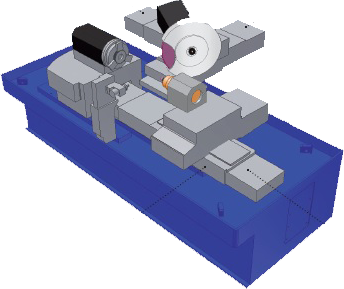 Combined grinding with RFT device for the tangential grinding of both inside and outside diameters. Two wheels. Plunge or oscillation grinding of outside cylindrical or tapered diameters as well as outer front faces simultaneously with the bore. 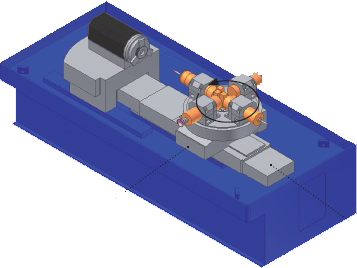 The wheel movement is carried out by means of two CNC-controlled overlapping slides (U and W axes). The RFT device is equipped with a wheel mount flange and primary wheel guard. 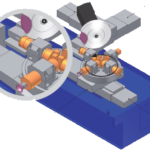 Internal grinding with indexable multi-spindle turret with up to four wheels. The unit can accommodate up to four electric spindles with CNC-controlled indexing (A axis). 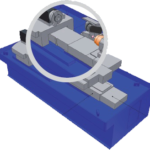 The indexing repeatability 150 mm from the spindle holder is guaranteed below 1μ. 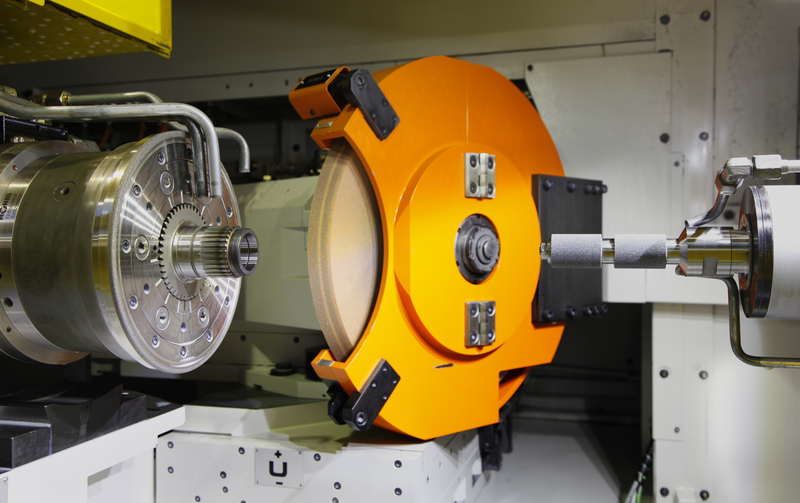 One of the spindle holders mounted on the turret can be swivelled by up to 6° for the tangential grinding of a inner front face with wheel. Combined grinding machine with indexable multi-spindle turret and RFT External Grinding Unit for tangential grinding with up to four wheels. 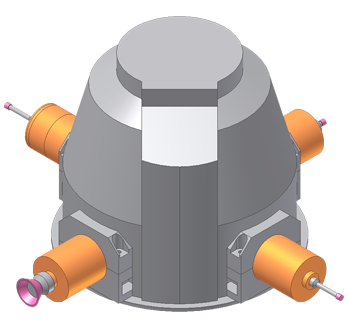 The electric workhead spindle, driven by a module in the axes drive, revolves on high-precision ball bearings and is equipped with incremental gear transducer and brake for the spindle stop in a set position. 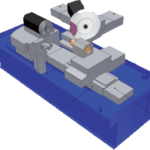 Optionally, the machine can be equipped with an encoder (C axis) for the grinding of non-round or eccentric surfaces. 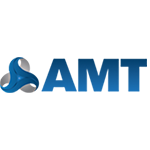 The unit can accommodate holders for one, two or three single-point diamonds depending on the profile to be obtained on the wheel. The up- and downward motion of the dresser is hydraulically operated. The dressing takes place in plunge system with a profiled roll or by interpolation of the machine axes with a forming roll. 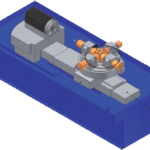 The unit is equipped with a diamond roll rotation check device. Directly mounted on the workhead. To obtain wheel radius profiles with form errors lower than 1µ. 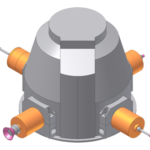 The unit can accommodate a fixed holder for up to 3 single-point diamonds. The rotation of the dresser holder is electrically controlled by AC motor via gear reducer and encoder (E axis). Electric spindle for the dressing of CBN wheels.